TEMPUR MATERIAL - Designed to allow neck and shoulder muscles to relax completely. Ergonomically shaped design to promote proper alignment and relieve neck and back pain. PERFECTED FOR YOU - Tempur-Pedic pillows are made with pressure-relieving material, formulated by NASA, and perfected by us for a perfect night's rest. WASHABLE & REMOVABLE COVER - Premium quilted cotton cover is soft and breathable and can be removed and washed. 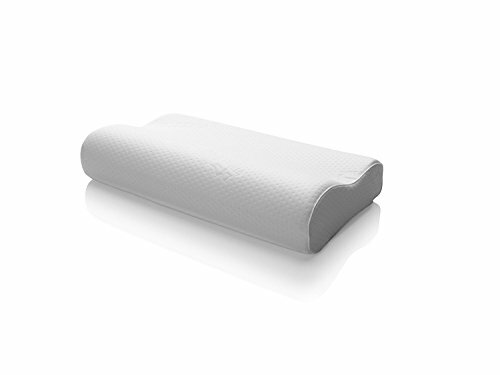 ASSEMBLED IN THE USA - The Tempur-Pedic TEMPUR-Ergo Neck Pillow, Medium size measures 20" L x 12" W x 4" H.